Sleep masks come in all shapes and sizes, and depending on the style of the mask, you may get total blackout conditions, or you may get light seeping in. And sometimes you get total blackout conditions until you lie down and then the mask shifts and the light seeps in anyway—usually around the nose. To combat that, the Dream Essentials Sweet Dreams Sleep Mask has a molded indentation that fits over the nose, to prevent slipping and seeping. Does it work? Read on! Looking to improve your sleep mask game? 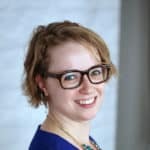 Check out my best sleep masks page! I had to laugh when I first saw the Sweet Dreams sleep mask, because it immediately reminded me of two things: a grasshopper, and Zorro’s mask (but without the eye holes). The idea of putting on a mask and suddenly looking like either an insect or Zorro was too entertaining. But, we shouldn’t really care how we look when we’re sleeping, right? The box that the Sweet Dreams mask comes in promises the mask is lightweight and that it folds small. These are both true statements—the box almost felt as if it were empty, but inside, the mask was neatly folded in half, along with a carrying case and a set of earplugs. The bug-like look of the mask is due to “concave eye pockets” made of foam that keep the mask away from your eyes so that there’s no pressure on them during REM sleep. Another indentation, shaped like the bridge of your nose, presumably keeps the mask from slipping. I was disappointed to find yet another sleep mask with Velcro. Dream Essentials boasts about the mask’s adjustable head strap, but Velcro gets stuck in hair and on fabric and upholstery, and picks up pet hair and lint. I much prefer straps that use a sliding adjuster. The soft polyester fabric that lines the inside and outside of the Sweet Dreams mask was comfortable against my face; however, I couldn’t get the mask tight enough to stay in place, and soft fabric or not, you really don’t want something slowly sliding down your face. I was able to open my eyes in the mask, thanks to the eye pockets, and when I did, very little light was seeping in. Until the slippage started. Then all bets were off. I could lie on my side in the mask without it pushing into my pillow and affecting the angle of my head, however because the strap was so loose, the mask still shifted quite a bit. The outer edge of the eye pocket on the side I slept on was pressing against my lower lid, defeating the purpose of having these indentations in the first place, and the nose-shaped indentation was pressing on my bottom nostril. This shift permitted light to come in from the bottom of the mask. To make matters worse, because I’d had to tighten the Velcro so much to keep the mask even remotely in place, a lot of the hook side of the Velcro was catching my hair. I’m not going to lie: I couldn’t successfully fall asleep in the mask. I was just so uncomfortable. I took it off and left it on the bedside table while I slept mask-less. About the only good thing I’ll say for napping with the mask, though, was that I had makeup on when I decided to lie down, and it stayed in decently good shape while I wore it, except for a smudge at the lower corner of the eye closest to the pillow—where the mask had shifted and was putting pressure against my lid. It was a fast touch-up, which I wouldn’t have minded, if I could have actually slept in the thing. 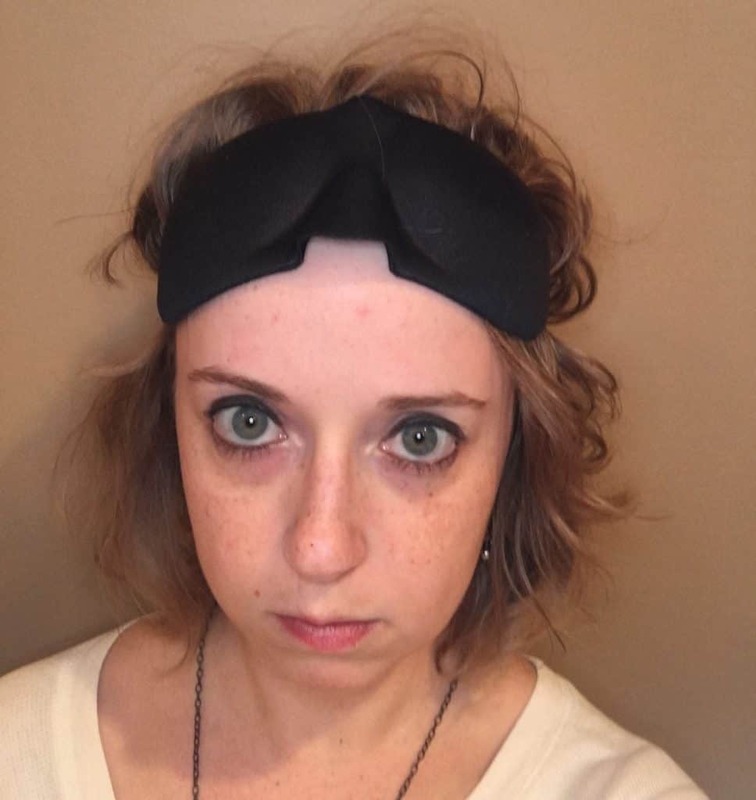 Common Five Star Review: “It blocks out 99% of the light for me, my nose somehow lets some in occasionally but that just means I have to reposition it.”—I thought the Sweet Dreams sleep mask did a decently good job blocking light…until it started slipping. Unlike many of the reviewers, who noted that they could go back to blackout conditions after a quick adjustment, I found I had no such luck, because there was no way for me to adjust the mask enough to keep it in place. 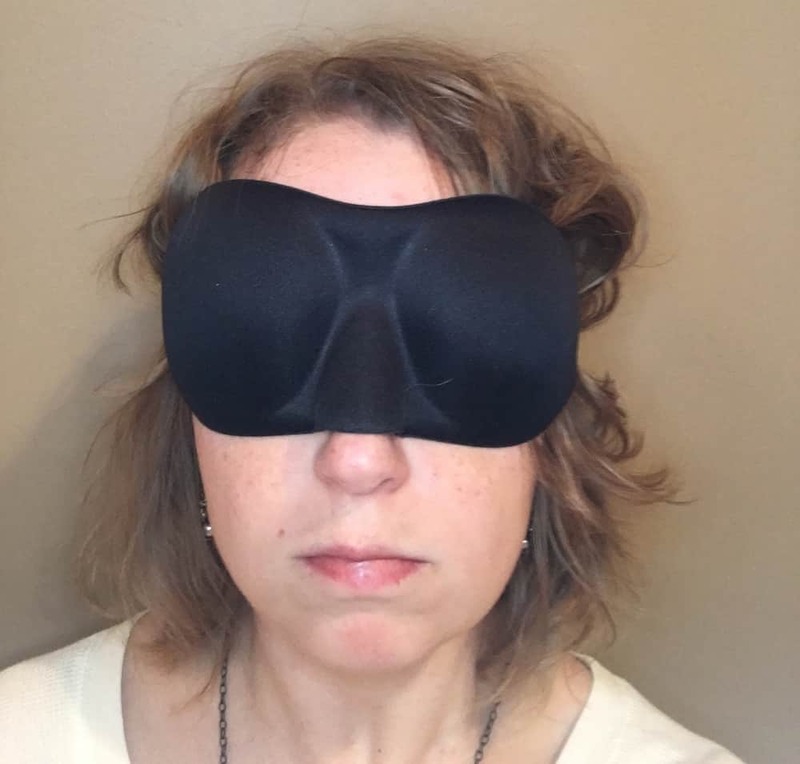 Common One Star Review: “Within 2 to 3 months of use this sleep mask began to fall apart. Literally, the layers began to peel away on it.”—I can’t vouch for the durability of the mask because I only wore it a few times (to sleep in and to film the video) but this is a very common complaint, referenced in almost all of the negative reviews on the product. Price: $8.49 on Amazon; $12.49 directly from Dream Essentials. As of this writing, Dream Essentials is also having a buy-two-get-one sale on this mask. Color Options: The mask is only available in black on Amazon, but Dream Essentials also sells it in red, royal blue, and pink. 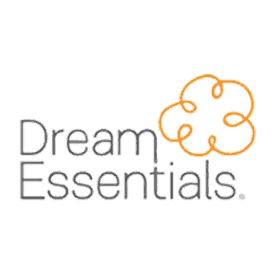 Return Policy: Standard return policy on Amazon; Dream Essentials offers a 45-day return period for an exchange or refund. The Sweet Dreams mask was promising—the soft material and eye pockets made it comfortable around the eyes. But the too-loose strap, which (to add insult to injury) adjusted with Velcro, meant the mask wouldn’t stay in place. Sleep masks are supposed to help people sleep, not hinder their slumber. I couldn’t even catch a nap in this one. Ready to buy? 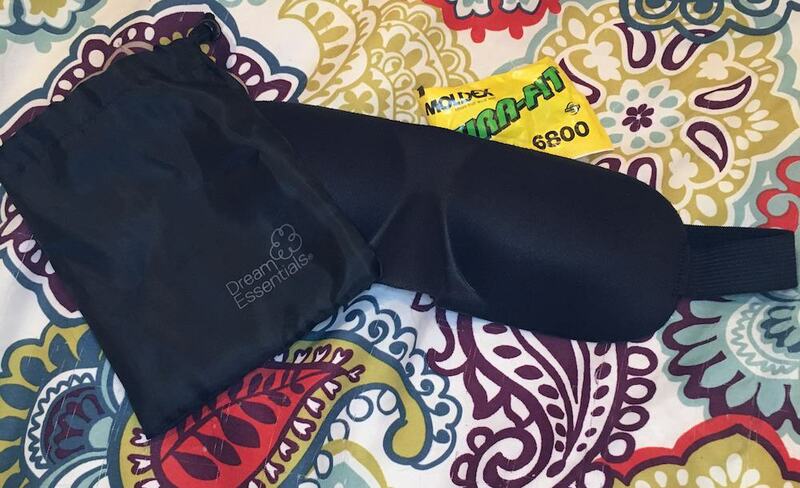 Grab the Dream Essentials Sweet Dream Sleep Mask on Amazon!